Ok, I'll admit it: I was afraid of shorts for most of my adult life. 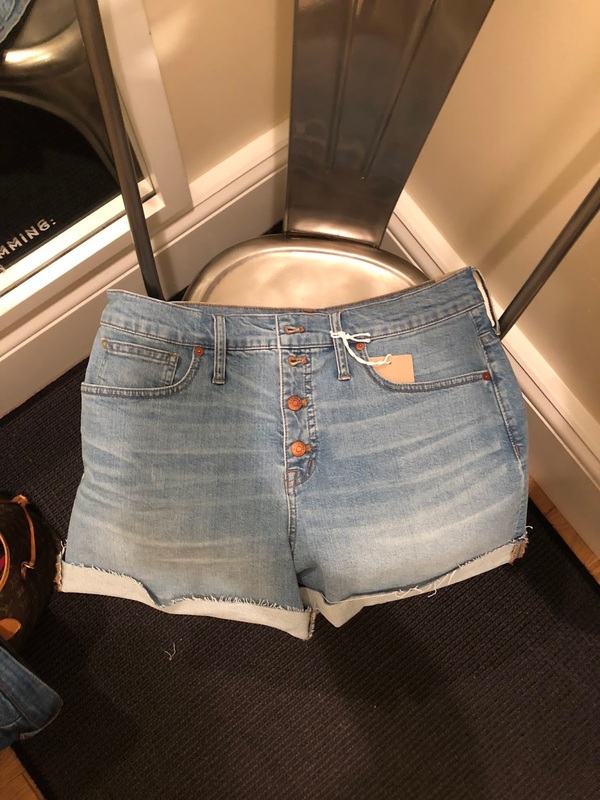 I hate the feeling of my thighs rubbing together with denim sparking a heat rash between them, don't love anything tight on my legs and really thought all shorts wedged up in the front, no matter what. It may take patience, but I'm here to promise you that the perfect short isn't a myth. As it turns out, a well fitting denim shorts can be flattering, comfortable and easy to wear. 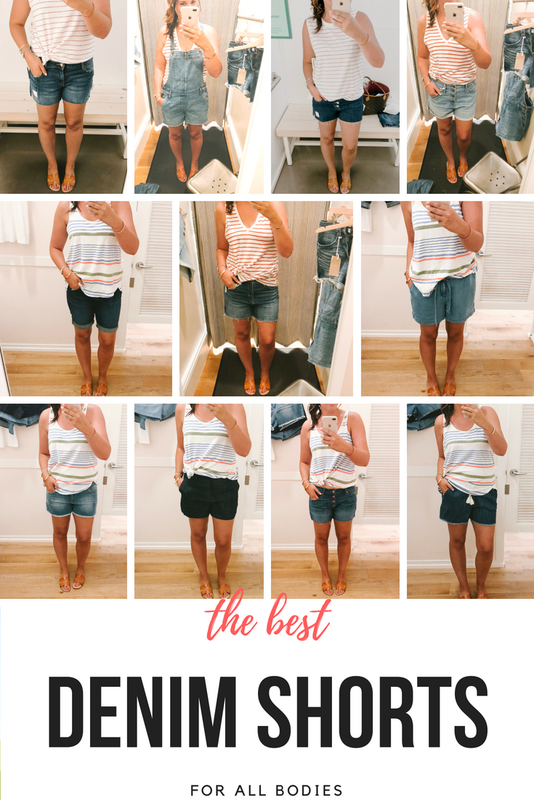 I hit three different retailers and tried on over a dozen pairs of denim shorts in all price points in an effort to find the most flattering pairs for all bodies and stages of motherhood. 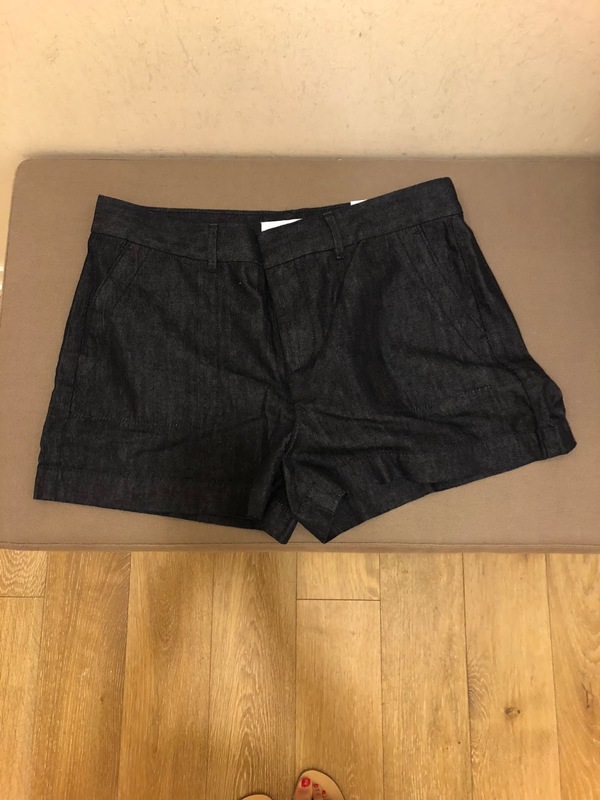 Post-baby mamas, preggos, those who rock the 3' inseam and my Bermuda lovers, I've got you all covered, complete with photos showing waist hight and fit notes! 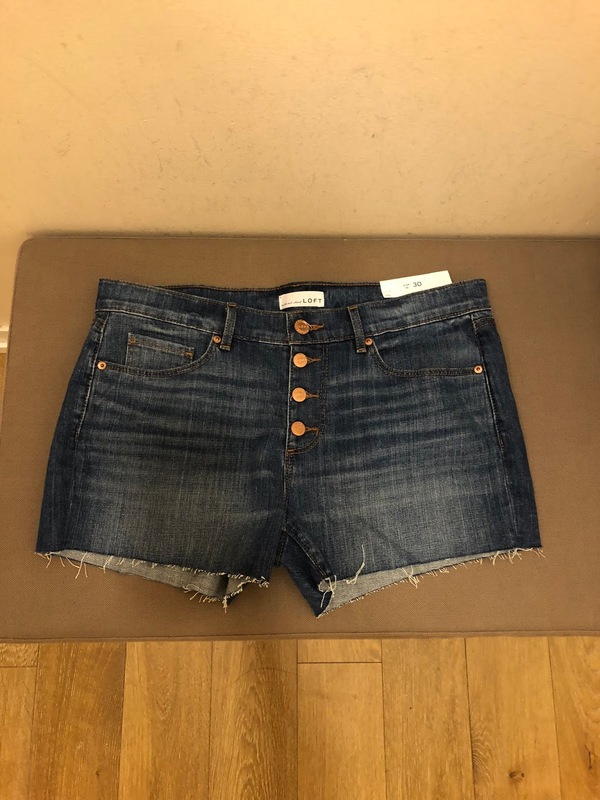 I'm a size 8-10/typically a Large, sometimes a Medium/5'9"
I was surprised at how flattering this pair of cutoffs really is - there is a center seam down each leg but the seam doesn't draw attention or create a wider leg. The wash is a great neutral denim without whiskering. If between sizes, size down as Old Nave denim tends to stretch with wear. 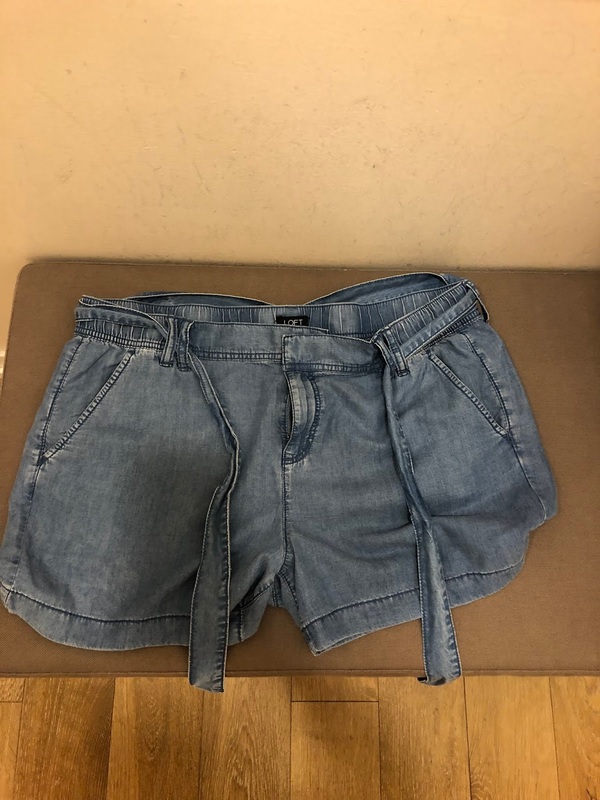 I love this pair of shorts - it's a dead ringer for both the medium price point and the high price point 4 button pairs that I'll share further down but at a twenty dollar price point. The wash is very dark and the buttons don't add any sort of discomfort but the rise is a bit higher than a typical mid-rise. If between sizes, size down as Old Navy denim tends to stretch with wear. First, I'm sized up in this pair, which is giving the shorts a much baggier look than the model is rocking. 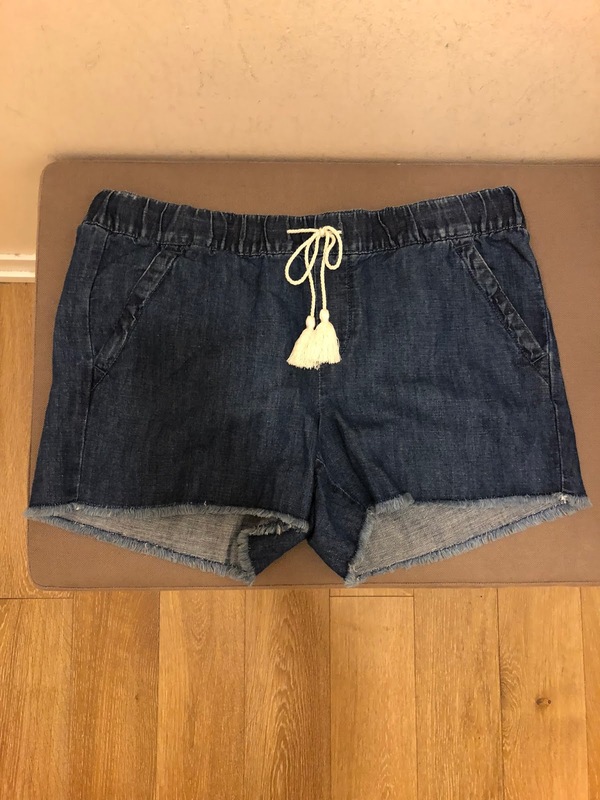 I do actually size up on certain pairs of shorts in my wardrobe so that I have a pair or two in my closet that are more forgiving and this pair would fit the bill nicely. If you order your traditional size, the legs will not be as wide as in my photos. The high rise waist is very flattering and holds in your tummy, and the 4" rise is perfect for someone who isn't in love with a super short short - don't forget that I'm 5'9"! I couldn't resist including a pair of denim overall shorts in my roundup! Wearing a size Large with a 3" inseam. 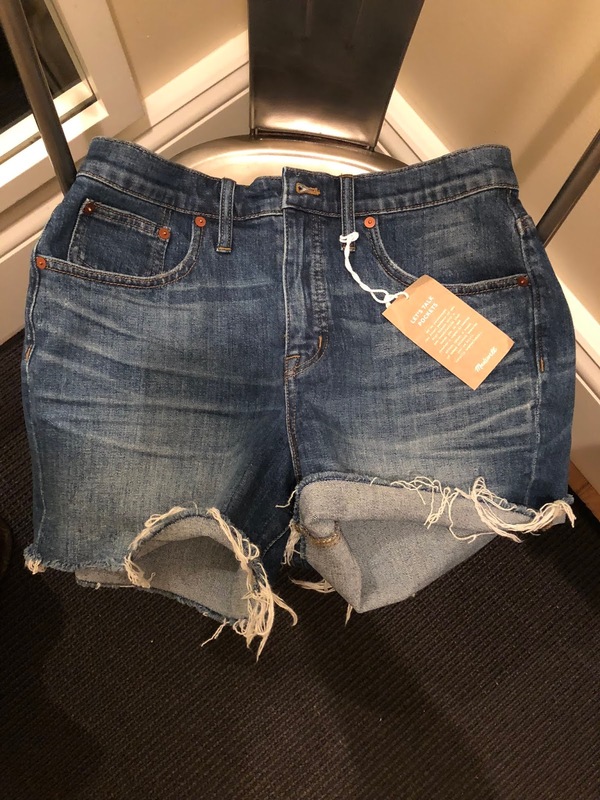 This is by far the most versatile pair of shorts in the round up - and potentially the most flattering of all of the distressed. A high rise flatters the mid-section and a 4" rise with a relatively wide leg flatters the thighs. The best part of this pair is the length - it allows for the leg to be cuffed or left straight. I did try on size 29 and they fit well but I did not think the loss of length was as flattering when I cuffed the leg, so I went with my regular size 30. I would stick with your regular size and if between, size down if on the shorter side. Bermuda shorts aren't typically my jam, but if you're buying a pair, this is the pair to buy. The slim leg, extremely dark wash and cuffed leg is slimming and creates a clean line. The rise is high, perfect for running after babes, etc. I will warn that a Bermuda can cut the leg visually and make you look shorter than you are, so be sure to try them on if it's your first pair in this cut! This belted, wide leg pair will work perfectly for anyone with a bump or transitioning into that post-baby wardrobe. If you fall into either of those categories, go with your traditional size, if you aren't in the middle of baby making, size down. The waist is a combo of elastic on the sides, a button fly and a tie belt so the fit is incredibly comfy and loose, especially on the rear. This is the perfect throw on and go pair. This is absolutely the most flattering and elevated pair of denim shorts on this round up. I would suggest everyone have this pair in the closet to feel put together and slim. Dress it up with a wedge or down with an espadrille and this short can really go anywhere. It has more of a trouser cut, if you will, with a tab fly and two pockets instead of the 5 found in traditional jeans. If you're not sure that you can/want to pull off a pair of denim shorts, start here, you'll thank me! I own this pair and wear them constantly! The rise is the lowest of any in this round up but keep in mind that I'm a mom of two so what I consider a "low" rise is probably what most would consider a mid rise. They wash and wear really well but the leg can roll up a tiny bit at the bottoms during wear. They are also on the shorter side and just 3" but I don't feel that they are hard to wear, just something to keep in mind! Preggo and post baby friends, this pair is a must for you! The darker wash is crazy flattering and the elastic waist with drawstring (and tassels!) will be comfortable and easy as your size fluxes with baby. The legs are frayed but stitched above the fray so they won't get stringy and the leg length is ideal. This would be my go to pair to pull on after the splash pad, so these might just end up in my closet! If you're pregnant or post-delivery, wear your traditional size, if you're not expecting, size down. Where are your three tank tops from in the pictures?